Every Friday and Saturday in October join us for the Terror Trail Tour at 6:30 and at 7:30 PM. Shiver Station host passenger pick up at 6:30 and 7:30 PM. 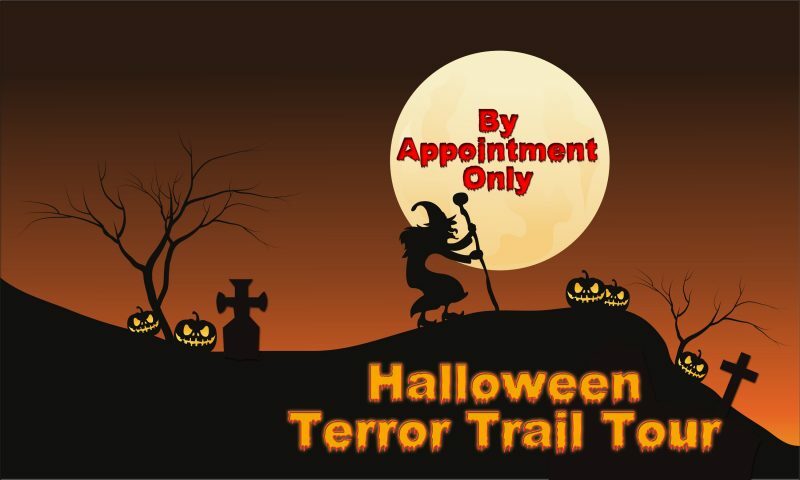 Listen while Which Witch tells the story of Terror Trail before you board. Visit Witch Diana’s Devilish Delights specializing in demonic delights and other items. Stop by Heathers Hex Apothecary for a new broom, potion and more. Shiver Station has Pumpkin Putt Putt, Bouncing Eye Ball and other games to pass the time while waiting to board. Purchase your pumpkin at the Pumpkin Plantation. Pick the one that is just your size before it picks you. Hop on the Conjuring Caravan or Creepy Crawl Carriage for a ghostly trip into the past. Ride through Apprehension Acres to Panic Pond through Fearful Fields journey passed Hangman Hill on to the Ghostly Gallows passed Wicked Waters through the Pumpkin Plantation then back to the Shiver Station. 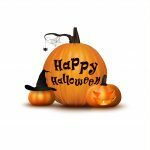 Come in costume and join the witches in their nightly Witches Dance. OCTOBER 20th Conjuring Caravan is BOOKED SOLID! Creepy Crawl Carriage is available. Group Tours available by request. Date you wish to come? * By Appointment Only. October 20th Conjuring Caravan is Booked Solid! Payment You will be prompted to pay via Paypal upon completion of this form. No reservation will be confirmed without payment in advance. Thank you. Date you wish to come? * By Appointment Only.